This exercise is an advanced balance exercise and intended for those that are looking for a challenge. 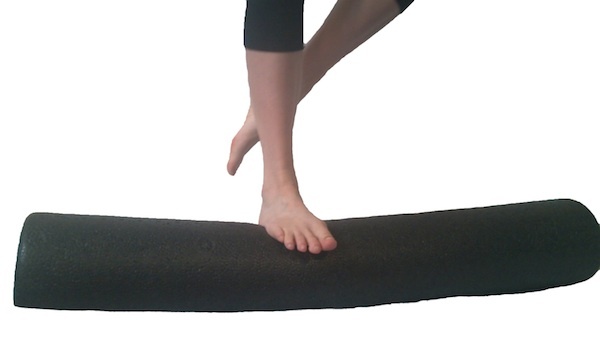 To do this exercise you will need a full foam roller. 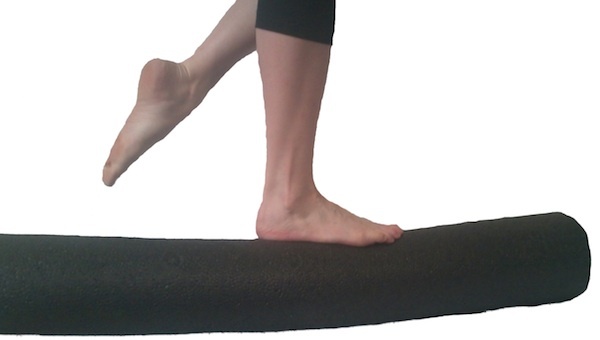 You will place the foam roller on the ground, then place your hand on the wall and step on the foam roller with your foot perpendicular to the roller? How’s your balance? Isolating balance exercises in the ankle is precarious. If you have a history of ankle strain be sure to proceed with caution.